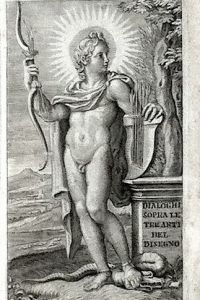 In 4to; pp. 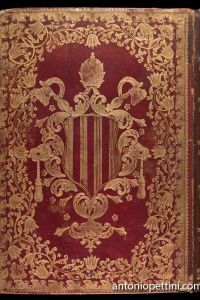 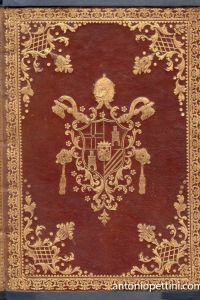 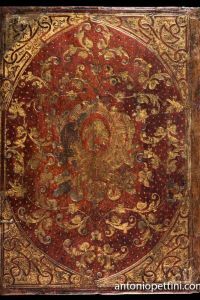 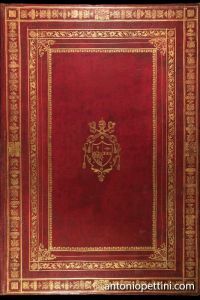 128, title page printedin red and black; a coppervignette on title, a head withMaratta portrait, a final. 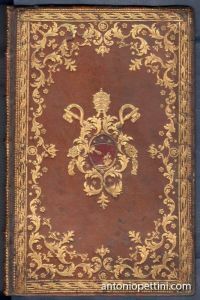 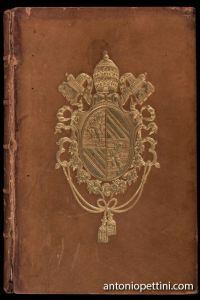 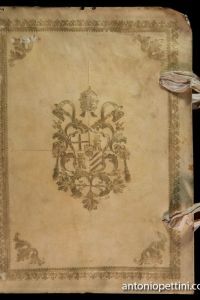 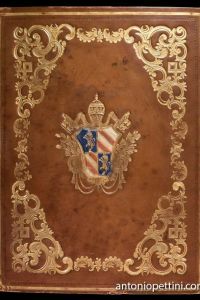 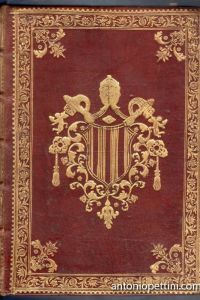 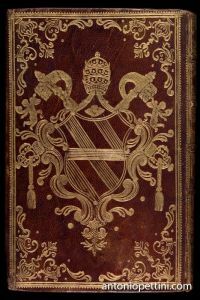 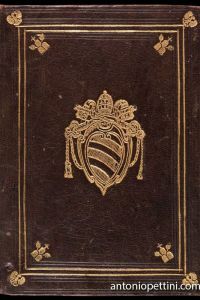 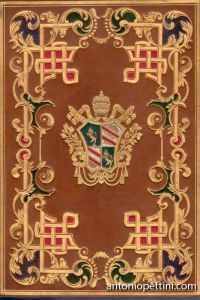 Contemporaryvellum with tile andgolden title on back. 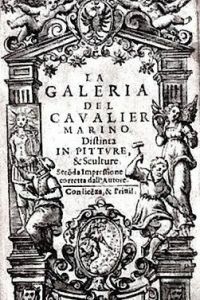 The portrait is missing, but avery fine copy. 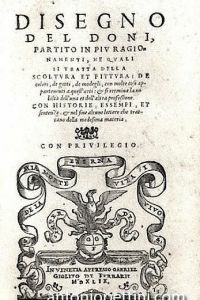 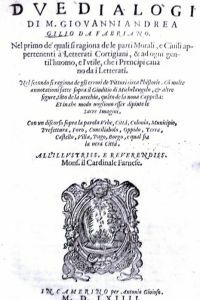 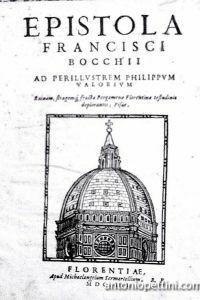 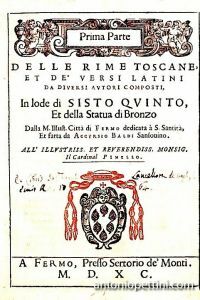 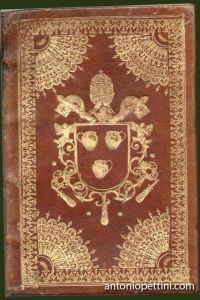 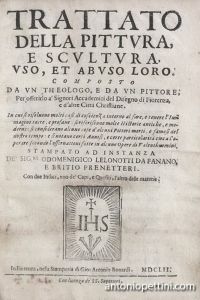 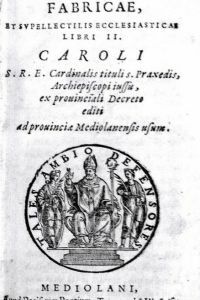 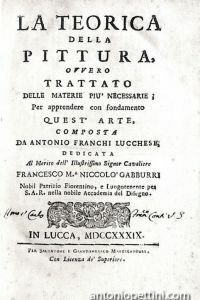 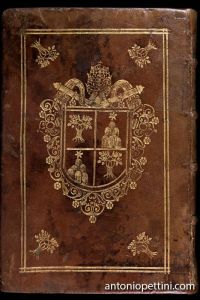 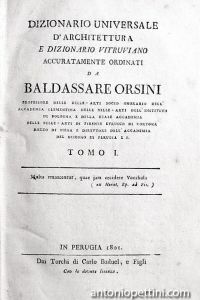 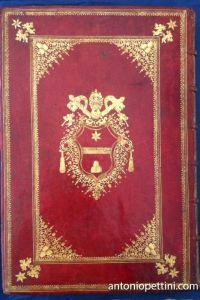 Very rare original edition (theone from 1732 is best known)printed on its own in the sameyear in which it was published in the Ritratti di alcuni celebri pittori del secolo XVII, Roma,1731, pp. 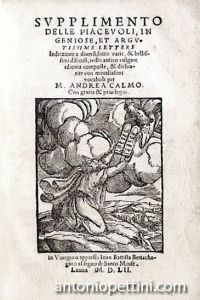 147 - 251. 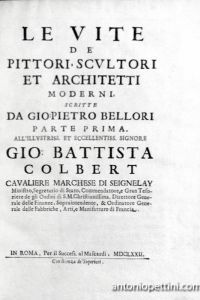 Bellori (1613-1696) wrote Maratta’s biography until 1689, and it looks like he worked on it since 1790 to ‘95. 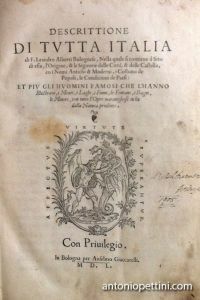 A much important part of the “Vita” is dedicated to preservation and restoration of paintings “Memorie de’ risarcimenti fatti nelle stanze dipinte da Raffaello d’Urbino nel Palazzo Vaticano dal Cavalier Carlo Maratti…”and “Dafne trasfromata in lauro Pittura del signor CarloMaratti…”. 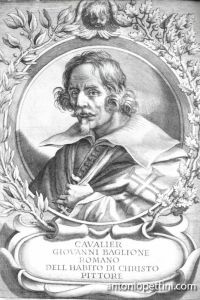 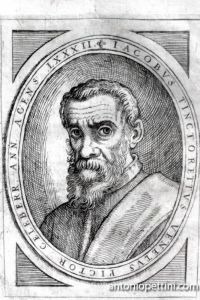 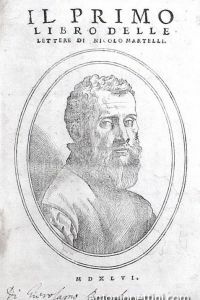 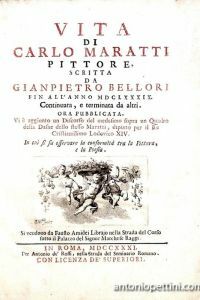 Bellori was one of the main an first Maratti’sbiographers. 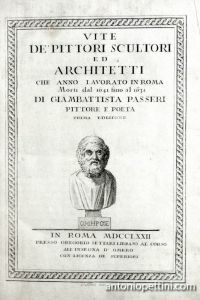 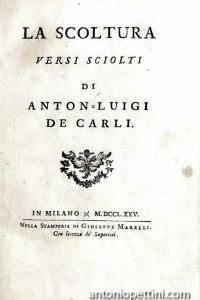 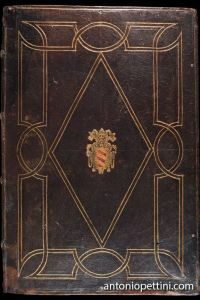 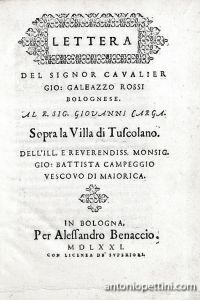 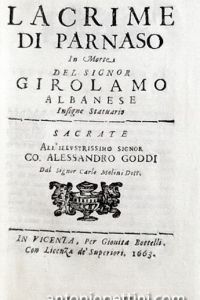 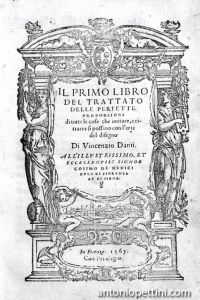 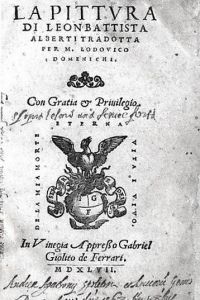 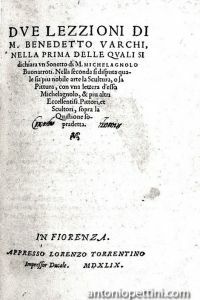 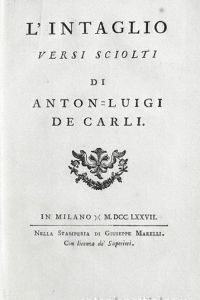 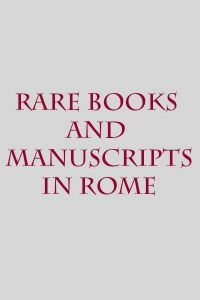 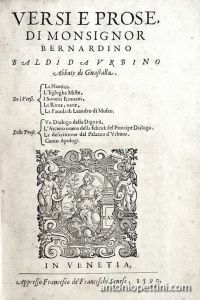 Schlosser only recalls the 1732 edition, “Thelife written by Bellori of his friend Carlo Maratta (in 1689,not finished, the end was added by someone other) was publishedin Rome in 1732”. 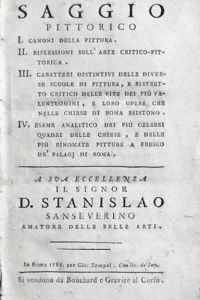 P. 411 and 404, Florence, 1935.